This Bluetooth development board is used to develop related Bluetooth products for developers only, which contains 4M FLASH, it is a fast, convenient, practical, necessary weapon for product development. 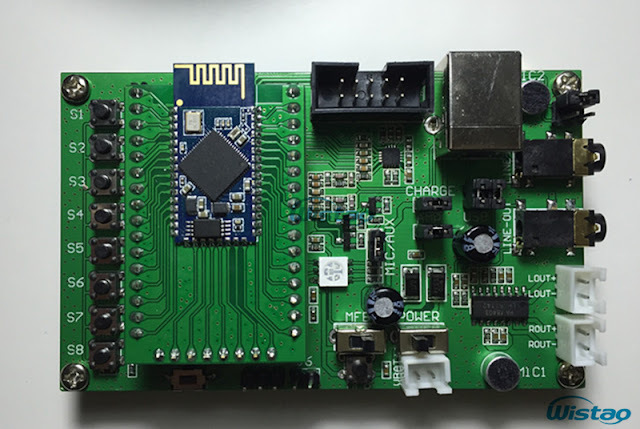 This development board can be used to develop Bluetooth headset, car hands-free, Bluetooth speakers and so on. 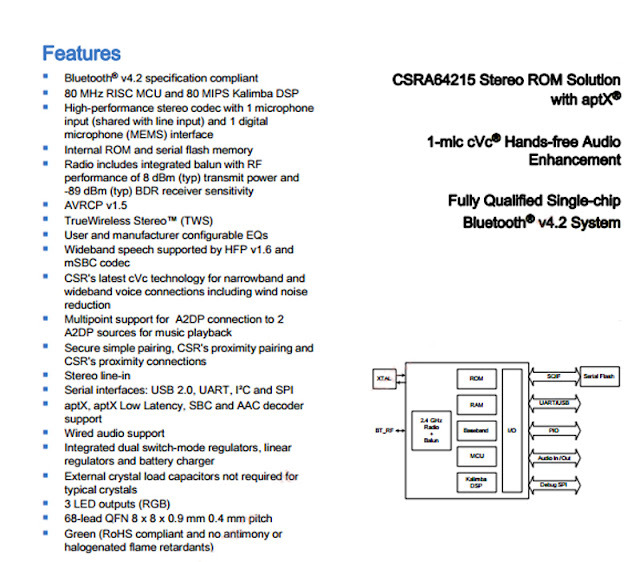 You can find the features of CSRA64215 as below. 1. Provide 3W amplifier output, then speaker can be used directly as a Bluetooth speaker. 2. Provide 3.5 headphone output interface, can be used directly as a Bluetooth headset when plug the headset. 3. Provide 3.5AUX-IN port, support AUX-IN switch. 4. MIC interface, can be called to call, and provide debugging dual MIC noise cancellation function. 5. SPI debug burning interface, to facilitate the use of debugging. 6. 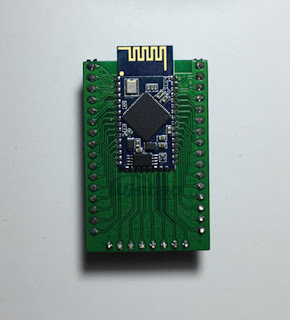 Bluetooth IO port are reserved for the PIN, for development and debugging. 7. 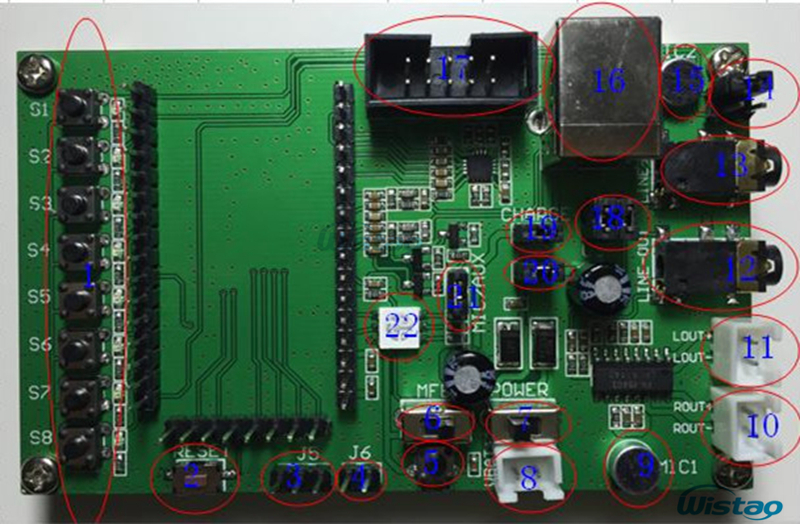 8 keys, 8 IO port with LED instructions IO port working state. 8. Power button MFB provides key to boot and power on two ways. 9. Three-color LED instructions, debugging LED status more convenient. 10. USB communication function, used to debug USB sound card function. 11. This development board backplane can also be used for all other CSR modules.